We specialise in providing Omni-channel retail solutions, EPOS and inventory control software to leading lifestyle retailers — everything you need to ensure your trading is always on — in store and on the web. Affordable and easy to use, Futura helps you to avoid lost sales, achieve optimal stock levels across all your channels and engage customers to maximise loyalty. 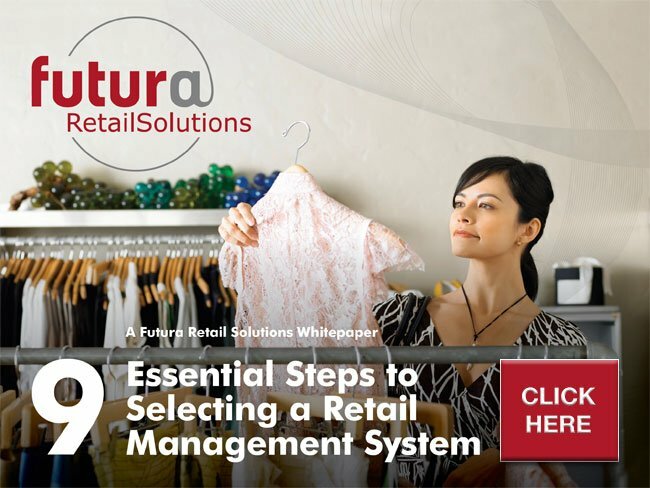 Systems cover stock management and control, loyalty card software, and merchandise planning, all with fast access to live data to drive accurate decision making. Our focus will help you improve your trading performance, increase efficiency and manage costs, strengthen buying and replenishment, deliver better customer promotions and much more. With over 30 years’ experience and 35,000 users worldwide, you can trust in Futura to provide the advice and support your business needs. POS and Omni-Channel Retail Management Software. As well as relying on Futura's software, what’s more important for me is the knowledge that when we pick up the phone there is always someone that will try and help us.